A 301 Permanent Redirect permanently redirects one URL to another. Use a 301 redirect to send visitors to a new URL, and to tell search engines that a page has moved so the new page will be properly indexed. After a move to a new domain, use a 301 redirect on the old domain to send visitors to the new site. After moving old site pages to a new site structure, use 301 redirects to send users to the new pages. After combining two sites, use 301 redirects to ensure visitors go to the new pages. 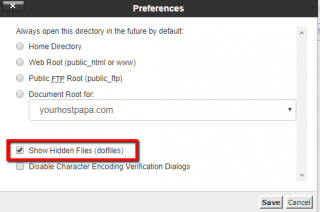 On HostPapa sites, use .htaccess files to create and manage redirects. 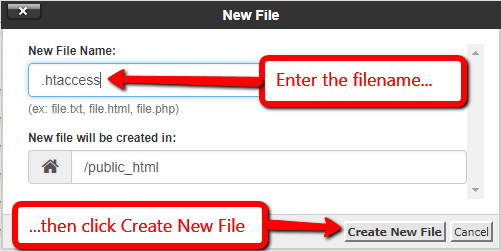 You can create a .htaccess file by using the File Manager in cPanel, or by using FTP to upload a .htaccess file you create with a text editor on your computer. Note: A .htaccess file is a hidden file, so you’ll need to configure the cPanel File Manager or FTP client to see hidden files on your system. See the instructions below. Developer tip: If the site doesn’t work after updating or adding the .htaccess file, restore site functionality by either renaming or removing the file. You can now close the Text Editor tab. 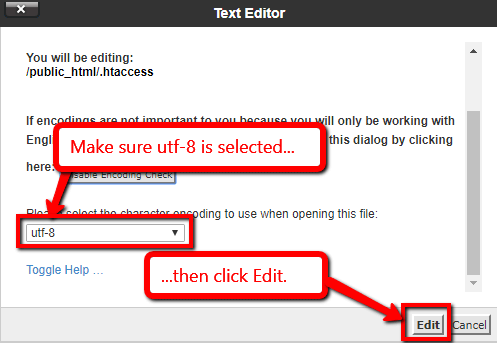 Create the .htaccess file on your computer using a text editor. Add the page or domain redirect code as described at the beginning of this article. Use your FTP client to access your site. Make sure to set your FTP client to view hidden files. Go to the public_html directory. Upload your new .htaccess file to the public_html directory. When the upload is complete, exit your FTP client. If you need help creating a .htaccess file for your site, contact HostPapa Support for assistance.